One surprising aspect of working with such a beautiful gem as a pearl is that there is not yet a widely accepted system for pearl grading. An ongoing challenge for retailers and customers alike is to understand the quality of this organic gem, which can vary significantly in its colour, origins and treatments. There have been a number of initiatives to describe the quality of pearls and to earn the public's trust when buying pearls and pearl jewellery. The most widely accepted system today is the Gemological Institute of America's GIA Pearl Description System for grading natural and cultured pearls. In the 1950s the GIA created the International Diamond Grading System with its famous 4Cs of diamond value - Carat, Color, Clarity and Cut. Today this diamond grading system is adopted universally and allows buyers to judge the quality of every diamond according to a standardized system. 1. Size. A round pearl is measured across its diameter in millimetres. 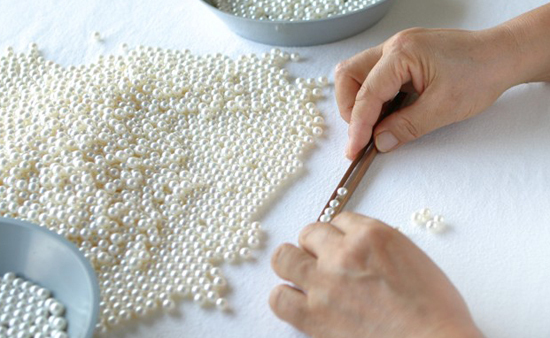 For non-spherical and other shapes of pearls, both the length and width of the pearl should be measured. 3. Colour. 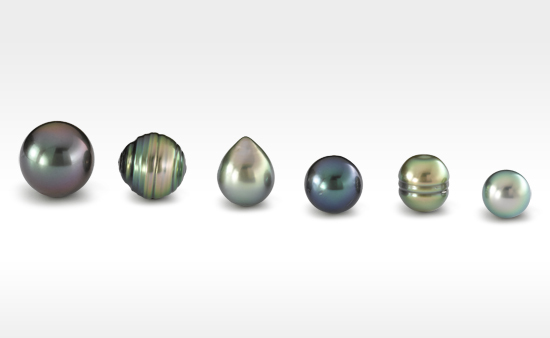 The main bodycolour of a pearl should be accurately described. This can be one of the difficult value factors to evaluate. A note should also be made if the pearl has an overtone colour or has a rainbow-like iridescent effect. 5. Surface. 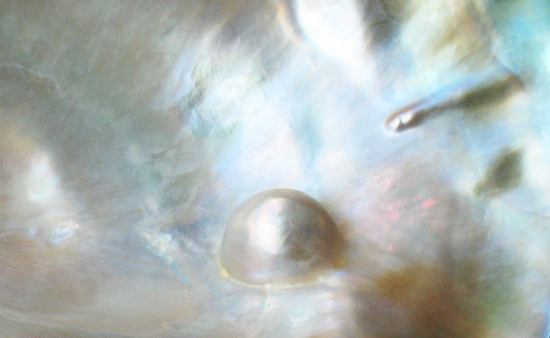 Most pearls have surface characteristics or irregulatiries. Surface condition is judged by the size, number, location, visibility and types of blemishes. 6. Nacre Quality. Nacre quality is determined by its thickness and layering. The best possible grading is 'Acceptable'. If the nucleus is visible, the nacre is too thin. A chalky appearance may result from thin or poor layering of nacre. 7. Matching. Matching describes the uniformity of pearls in jewellery and depends on the consistency of the other six factors. 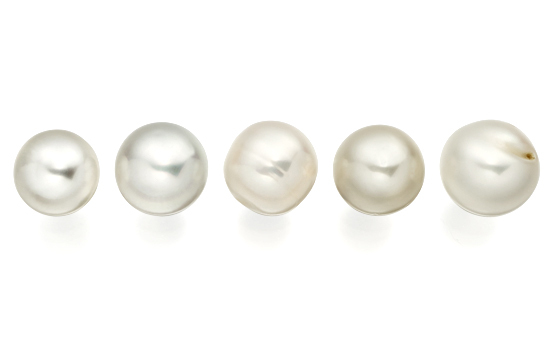 The pearl grading system of the Japanese cultured pearl industry historically has used the quality classification A, AA to AAA whilst the Tahitian cultured pearl industry typically uses its own A to D grading system. It is also relatively easy to find pearls online at cheap prices that that are described as having a AAA+ or AAAAA grade of quality. With shops and online boutiques offering customers a freshwater pearl necklace that might range from a few pounds to hundreds of pounds, the difference in value can be both significant and confusing. We believe in a transparent and consistent assessment of the quality of our jewellery, whilst upholding the highest standards of integrity. 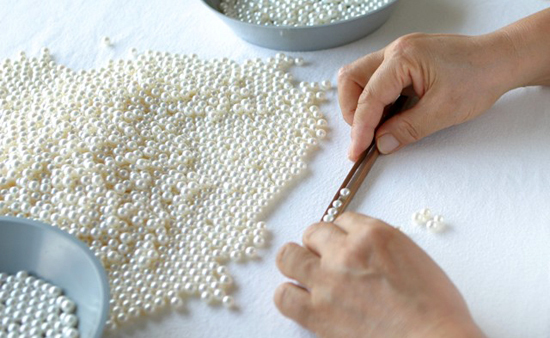 All the members of our team are trained in pearl grading at the GIA. We disclose the grading of our pearls, based on the GIA Pearl Description System, in the online information on all our jewellery at Winterson. If you would like to know more about our pearls, please Contact Us.